As I have mentioned previously, I think about stories a lot. I wonder what benches the stories on the boardwalk tell. The vacationers, the lovers, the criminals, the storms. When people are sitting on benches I wonder what their story is. 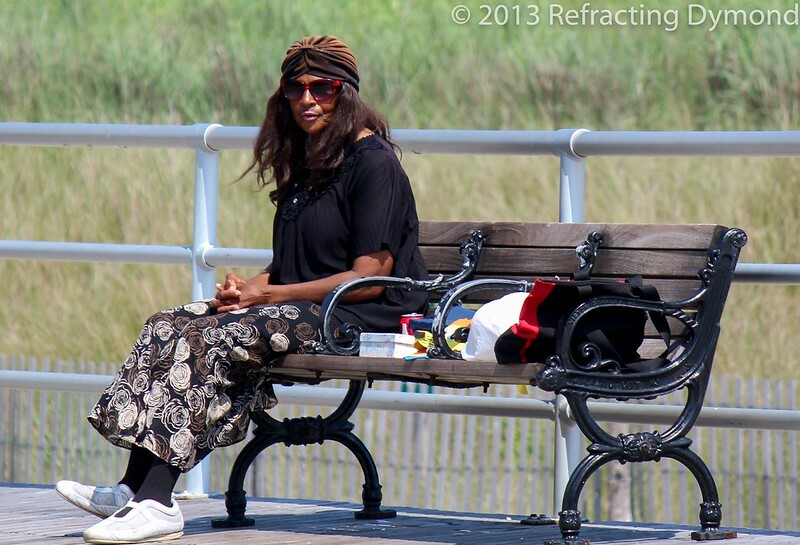 In this case, I was walking around Atlantic City with my telephoto lens trying to take pictures that were not typical. I spotted this person sitting on the bench and the look on her face caught me. I still can’t tell if it is peaceful or distraught. Using a different lens can really change the way you think about your composition. The set of pictures I took in Atlantic city with my soon lens was totally different compared to the picture si normally took. Obviously this is partly due to the restrains the lens places on you, but it is also because. These restrains open the door to seeing things in new ways. While I like th efreedome my 15-85mm lens gives me, I do enjoy putting on my prime or telephoto lens to force me to think about things differently. In fact some of my most favorite photos are with these more restrictive lenses.